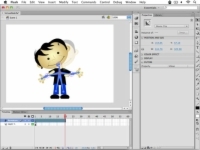 After you create a series of connected Inverse Kinematics (IK) objects in Adobe Flash CS6, you can put them into motion with poses. 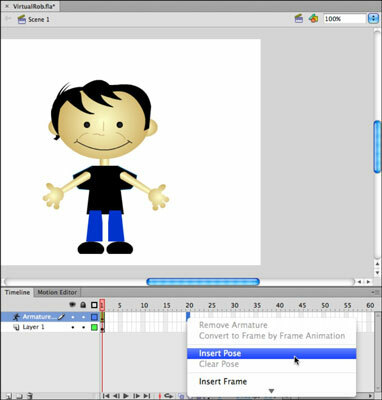 Poses capture different positions of your IK objects, and Flash can animate from pose to pose to create sophisticated animation sequences. After an Armature layer is created, poses can be inserted (much like keyframes) to note different points along the Timeline where a new pose will be created. IK and IK animations are not supported when your publish target is HTML; however, at the time of this writing, some content (including animated poses) was maintained during publish and preview tests, although in some cases not at the same quality. 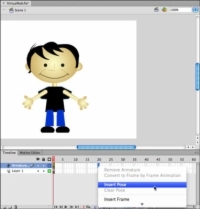 1Click and select an empty frame on an existing Armature layer. 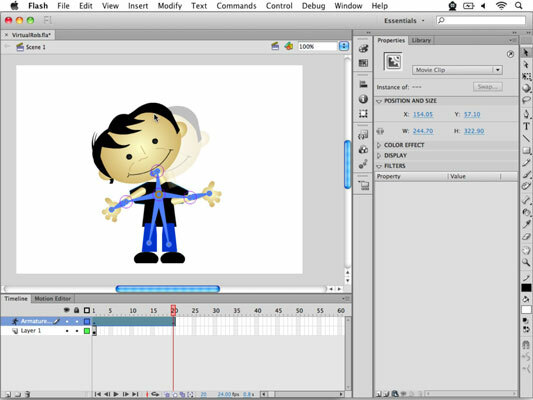 This pose will be the final pose of the animation.